If you think being a vegetarian or vegan in Paris is impossible, think again. On the contrary, there are more vegetarian and vegan options popping up in the Parisian culinary scene than ever before. 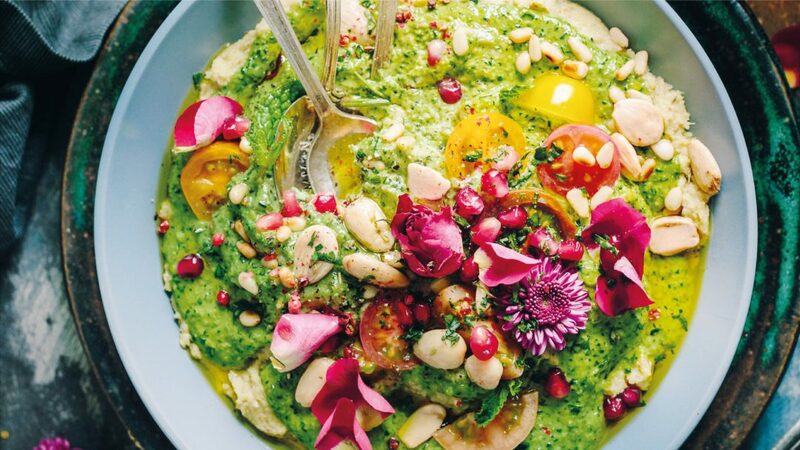 Indeed, vegan and vegetarian restaurants are on the rise, bringing along with them imaginative dish creations and innovative flavour combinations. Whether you are a vegetarian, a vegan, or simply a lover of good food, your taste buds are going to love this vegan-friendly uprising that has currently taken hold of the Parisian food scene. Whilst Seasons may not be entirely vegetarian, they do offer some incredible vegetarian options. A delicious example of these is the dish shown above: a veggie bò bún with beets, carrots, tofu, peanuts, rice noodles and veggie rolls. The menu, which is available in both French and English, changes along with the rhythm of the season. It is renewed every three months to reflect the seasonal produce, bringing customers dishes made up of only the freshest ingredients. The delightful restaurant is widely known in and around Paris and has appeared in esteemed publications such as Vogue, Grazia and Elle. Wild & The Moon is a perfect haven for vegan and organic food lovers. Their concept is based on the simple belief that food should be good for you, good for the planet, and above all delicious. Travellers visiting Pais will be happy to know that the menu is available in both English and French. 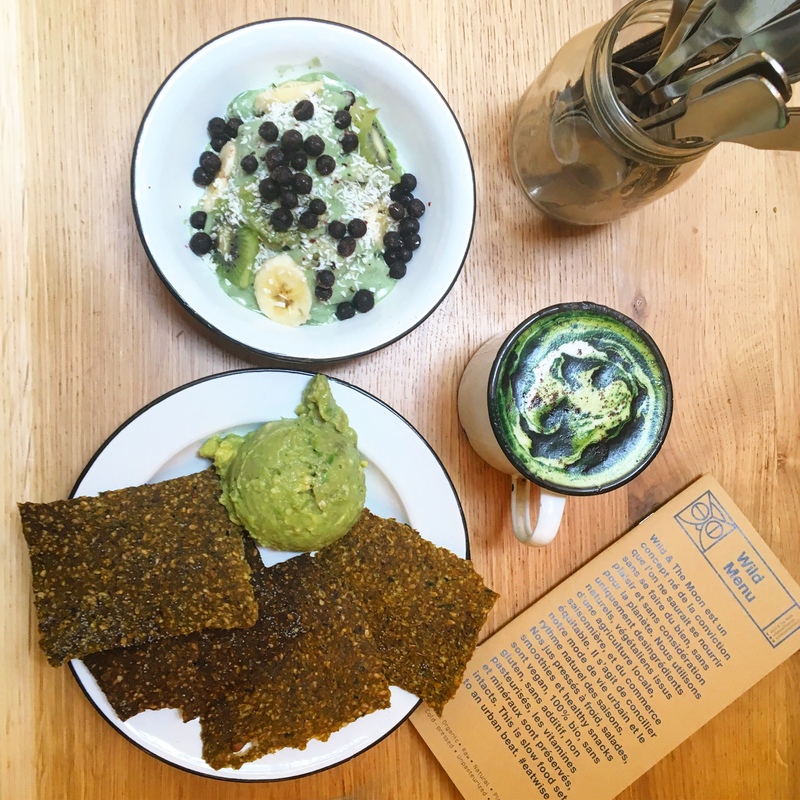 You can go there to enjoy a delicious breakfast, such as the matcha latte and bowl with a side of avocado, featured above. It can be hard finding an entirely vegan restaurant in Paris, but this restaurant is well-known for its incredible all-vegan food selection. Nothing too fancy, just honest food, at a great value. The staff are extremely welcoming and polite, and the café has a cosy feeling to it. You will also find numerous gluten-free options here. There is really something for everyone, as the café can satisfy you whether you are looking for a light lunch or an all-vegan feast. Le Tricycle began as a vegetarian food cart attached to a tricycle before the owners decided to open it as an urban cafe in May 2015. Their speciality is veggie hot dogs with fantastic options for toppings. This place is perfect if you want a healthy “fast food” on the go, or if you like, you could sit upstairs in one of the twenty available seats. In the photograph above we have the renowned tofu hot dogs and veggie bowls, accompanied by one of Le Tricycle’s famous fresh juices! Home of vegan gastronomy since 2009, this incredible restaurant is perfect for special occasions. Gentle Gourmet serves French and Meditteranean dishes, all homemade, seasonal, and of course vegan. The dishes are creatively presented and the service is brilliant. In the photograph above we have Indian-style rice with fennel, peas, lemon zest, spinach, red onions, mint sauce and broccoli. The Loving Hut is part of an international chain by Supreme Master Ching Hai, who is a strong advocate of vegetarianism. Each location is family-operated and has a “homey” feel to it. The food here is mainly Chinese and Vietnamese, but you will also find other options such as veggie burgers or spaghetti. The price is reasonable, meaning you do not have to splurge to enjoy a three-course meal. Or, if you more of a dine and dash person, you can always pop in for a quick nutritious meal at lunchtime. This petite and rustic vegan restaurant serves vegan versions of traditional French dishes. You can go there to enjoy soup, tarte, pâté, gratin, mousse and other popular French courses. As the restaurant tends to get quite busy we recommend booking. You do not want to miss out on this unique gastronomic experience. Above we have lentils with smoked tofu & hazelnut, julienne veggie salad, and mashed potatoes. Hanks is known all over Paris for serving some of the best vegan burgers in town. This delightful restaurant exclusively specialises in organic burgers, all of which are vegan, heartily cooked, and homemade. In the photograph above we have the “Tata Monique” – a protein-packed bean burger with black olives, tomato sauce, and veggies. It is served on a sesame bun with coleslaw on the side. If you want to discover more about the Parisian culinary scene, check out the Food and Drinks section of the LocalBini App on Android and iOS. Book unique foodie Experiences with passionate locals.